Bislett guttekor was founded in 2015 as an offer for children in primary school age at Bislett and St. Hanshaugen, and counts over 50 young boys. The choir consists of children from Bolteløkka school, but also schools from Ila, Marienlyst, Skøyen and even Bøler. The choir is a popular local institution and has recently opened for the intake of first-grade children. The choir’s goal of creating a choral singing on a high level by building fellowship and feeling of mastery. The choir collaborates with professional musicians and other children and adults. The choir and aspirant choir train weekly every Thursday afternoon. The choir organizes the collection of children from AKS at Bolteløkka school. What started out as a boy gang quickly grew to become a local institution. 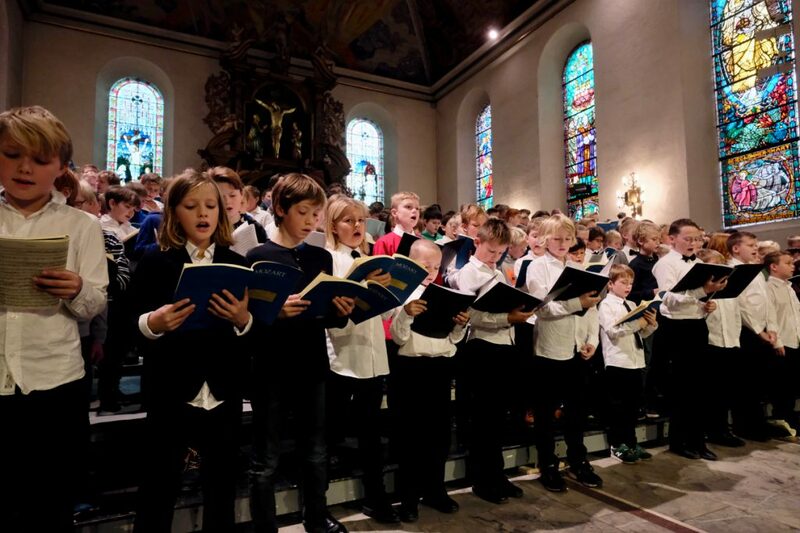 The choir is now one of Norway’s leading non-church boys’ choirs. The choir is led by conductor Sindre Beitohaugen and Marius Astrup Thoresen. The choir is firmly in Fagerborg Church and is a parent-driven, life-view-neutral initiative. The choir is a member of the Norwegian Children and Youth Association.